How amazing are these shorts from Urban Outfitters?! They have tons of velvet detailing on them. The simplicity of adding a crop top and leather jacket easily makes this an edgy outfit. Which obviously includes my new favorite shoes I picked up in New York that you’ve been seeing a lot on the blog lately! Seriously if you don’t already own a leather jacket, its a must. There are so many styles & fits, there’s a leather jacket out there for everybody. If your looking for affordable then my go to place would be Forever 21. Now that it’s fall you can pretty much find a leather jacket anywhere! Positive Vibes and tons of love to all my followers! I know not everyone is into the overall trend but I was so excited to find these overalls at Cotton On. I have a few pairs of short overalls but now that fall is in full swing they won’t do me much good! 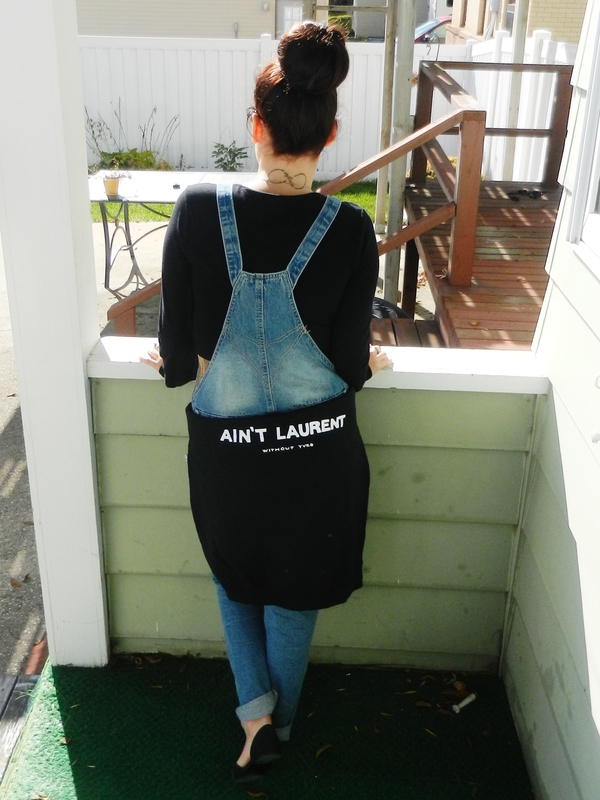 I love the wash of these denim overalls and the few rips in them gives them a casual vibe. If I wanted to dress these up I would throw on a pair of heels! While I was in the cities this weekend I finally was able to go to a MAC store where they helped me find the perfect red lip for me! This is Viva Glam 1 (here). Lots of Love & Positive Vibes! Follow my Instagram & Twitter ! I’m in love with these railroad striped denim overalls from American Apparel. They are so comfy and will definitely be worn quite a bit for the rest of summer/into fall! 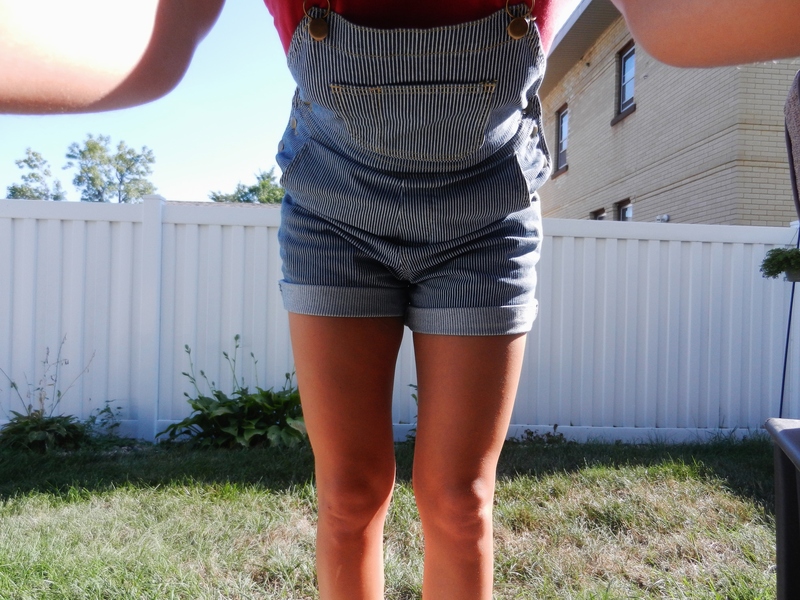 Overalls are easy to throw on for a casual look & crop tops are perfect under these when its this hot out! Also I got my first pair of converse this summer and I would recommend them to anyone and everyone. Their comfortable and stylish, what’s not to like? !